Are you running out of gift ideas? Do you want to get something totally personal and unique for that special someone in your life but have a limited budget? Why not design a personalised piece of art that will stand out from the rest and be cherished for years to come? With the help of Beyond A Word we can take your most cherished thoughts and memories and design unique art pieces that are sure to amaze any audience and look great on any wall. 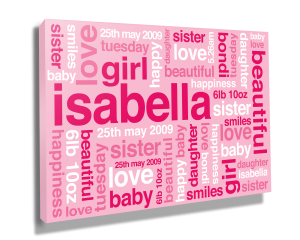 Our wide selection of typographic styles and print options ensure that your Custom canvas word art creation will be one of a kind and the best gift they will receive. 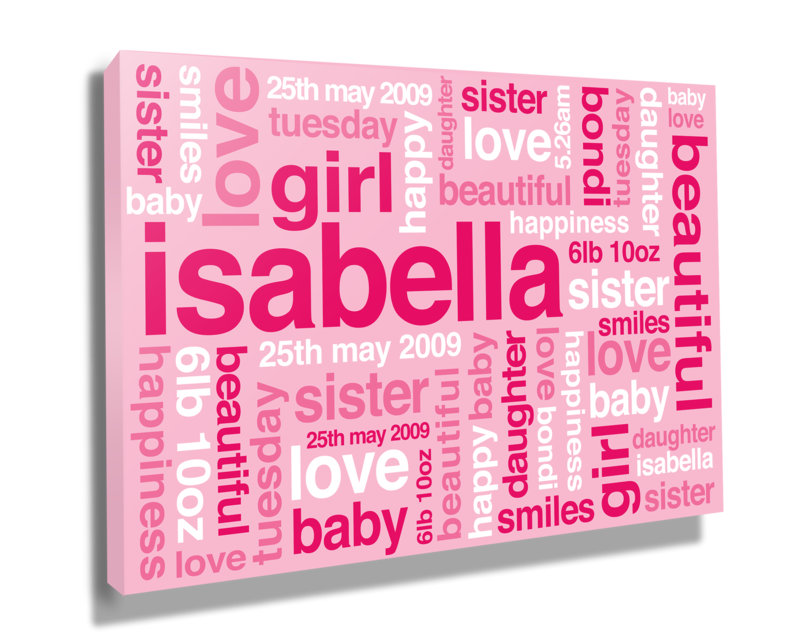 You can check out our gallery to browse creations made by customers like you or you can take your own gift ideas and make them a reality by designing your own unique piece, they truly are the ultimate in personalised gifts. You don’t need to scour the internet for gift ideas, not when you’ve found the perfect gift right here at your fingertips. Just go to the personalised artwork ordering page and place your order in a few easy steps. If you get stuck we also have a great video explaining the whole process.